The Esmée Bo. 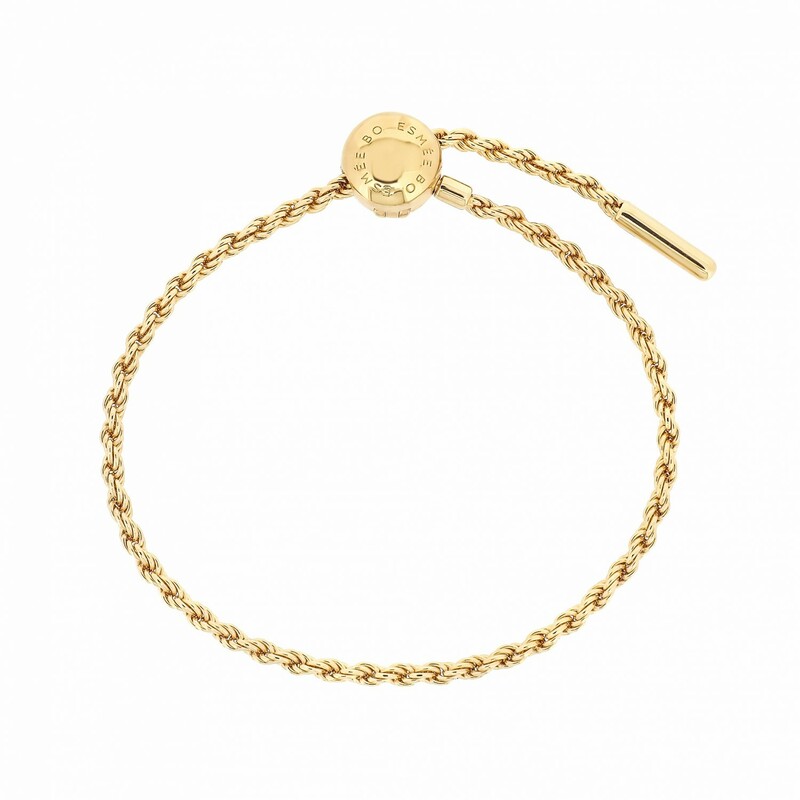 gold twist bracelet is crafted by italian twisted curb chain in 18ct yellow gold vermeil on sterling silver. The iconic bracelet features our patent sliding clasp which make the lock adjustable by pulling the clasp after closure. Add love charms and embellishment beads to complete your personal statement.